Since 2004 Beauty Care Choices (formerly Hair Care Choices ) has been the online resource for shoppers looking for their favorite salon products and having them conveniently shipped to their home or business. Beauty Care Choices expanded their selection from professional hair care items to now carrying skincare, cosmetics, nail care, and many other specialty items for all your beauty needs. Yet, nothing else changed in our company. 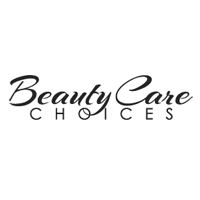 Beauty Care Choices is the same great team, management, and owners providing award winning customer service and licensed cosmetologist shopping assistance. For over 10 years Beauty Care Choices has taken pride in helping shoppers locate products that they once found in a salon and now can`t locate the item because the salon moved or they moved or the salon is no longer carrying the products or numerous other reasons. All products sold at Beauty Care Choices are purchased directly from the manufacturers and/or their distributors. We always have the latest freshest products available. We keep all packaging current and do not sell old or discontinued items. If you have a product you are trying to find in a brand that we carry but you don`t see it on our website, please give us a call 866-409-7227. It may be that we have the product in a new package. You would be surprised how often packaging changes happen in beauty. Now global users can access the incredible deals and have local experience. Avail huge discounts and discover fun activities in the city with the CouponsVolcano. Check the fantastic deal offers and a variety of things to do for adults, kids, and families. The website will enable millions of users to enjoy nightlife and can try out spas, massages, hair salons and restaurants. You can also plan a trip with friends and family at a reasonable price. © Copyright 2018 - 2019 All Rights Reserved. Logo and Brand names are property of their respective owners.